An appeal is a request made to a higher court to review a decision made by a lower court. It is not a rehearing of the case you presented; you may not submit any new evidence. Instead, the role of the court of appeals is limited to reviewing the trial record and determining whether your judge acted within his discretion. If it is found that the judge did not act improperly, the decision is upheld even if the appellate judges would have ruled differently had they presided over your trial. In most states, you only have the right to appeal final orders. In a divorce, this is typically the final divorce decree, which can address property distribution, custody and support. By contrast, temporary orders issued while the divorce is pending are not considered final, and you generally require permission from the appellate court if you want them reviewed. You might demonstrate this need for review by showing that the safety of your children is threatened, or that a time-sensitive property matter requires immediate attention. Whether you have grounds to appeal depends on the type of mistake that you believe the judge made in your case. Grounds for appeal are limited to errors in law and in fact. An example of an error in law would be if state law requires a parent convicted of domestic violence to complete counseling before the award of any custody rights, but a judge nonetheless grants that parent custody without proof of counseling and in direct violation of the law. By contrast, a mistake in fact exists if a judge reaches a conclusion that no other reasonable person could have reached based on the evidence. An example might be awarding sole custody to a parent convicted of multiple counts of sexual assault on the child, in the face of strong evidence demonstrating the fitness of the other parent. You may start the appeal process by filing a Notice of Appeal with the family court before a specified deadline under state law. This is often 30 to 60 days from the date you receive the original order. In the notice, you need to provide basic information about the case and have a copy delivered to your spouse. After you file the appeal, the court typically requests that you obtain and file transcripts of any hearings the family court held; you may also have to file a written brief explaining the basis for your appeal, followed by an oral argument. The court will then issue a ruling, either affirming or reversing the lower court, or remanding the matter for retrial. The appeal process can take up to a year to complete. However, an expedited process may be available if you can demonstrate that harm will result in delays. This is up to the discretion of the appellate court, and might be appropriate in cases where a child's safety is in question. 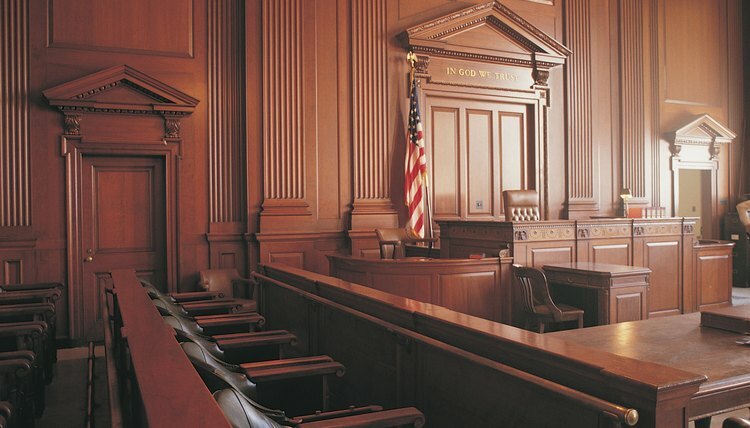 The Harris Law Firm: What Does “Trial Court Discretion” Mean?